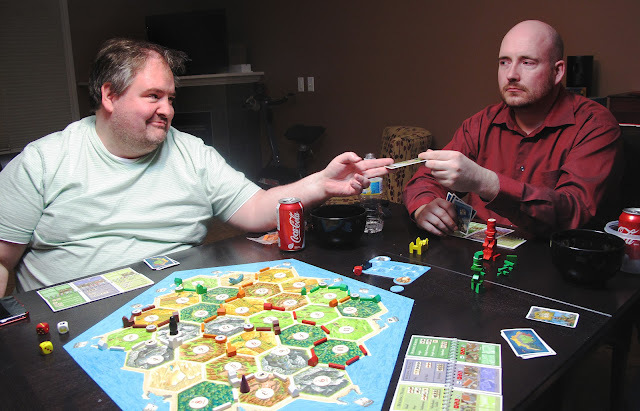 For a time during last night's epic battle of Catan, Sean had the longest road, worth two victory points. Unfortunately his glut of rocks and my surplus of bricks and wood meant his possession of the coveted card was short-lived. Jeff and Susan captured the moment of Earlian triumph and Seanian rage.